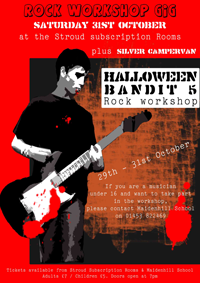 Specialising in music events performances, gigs, Sound engineering and workshops. 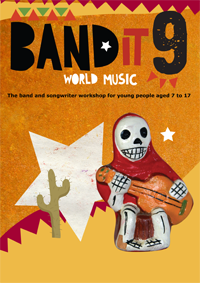 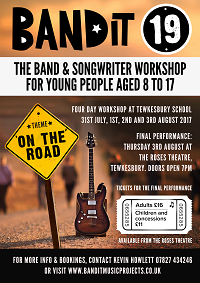 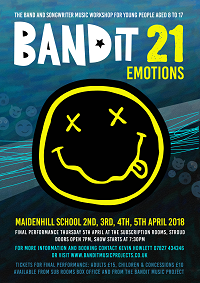 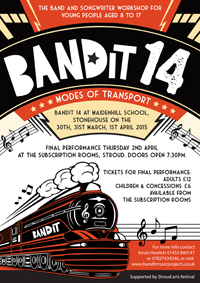 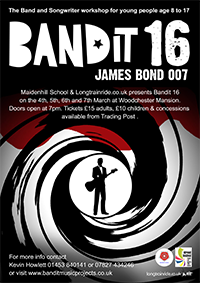 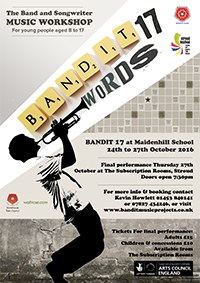 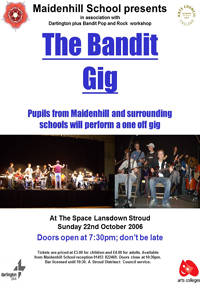 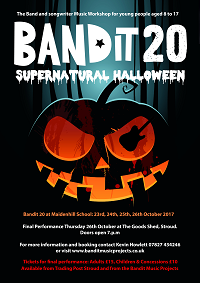 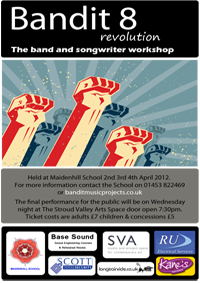 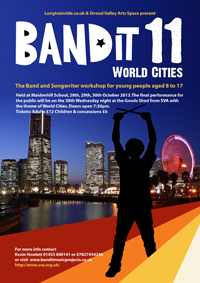 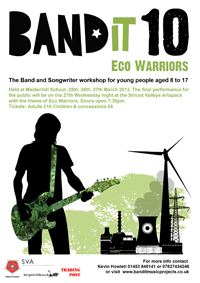 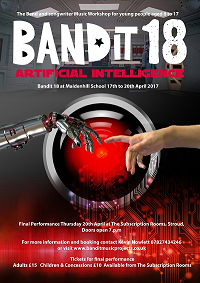 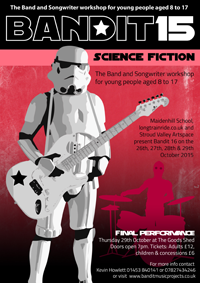 Bandit is a four day rock and pop workshop for 60 students aged 8 to 17. 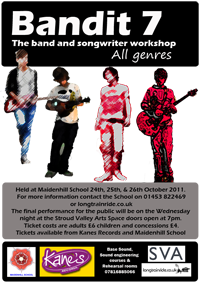 Students throughout the community come together to form bands and to be creative in writing, recording and performing. 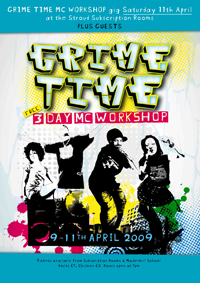 The prime function of the workshop is to give young people from all backgrounds the opportunity to gain experience in musicianship, creative song writing, and performance skills. 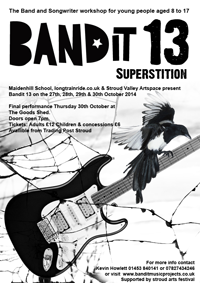 Alternative music, thrashing guitar surrounding speed and peculiar shapes. 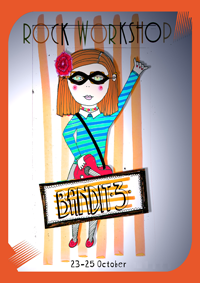 Blooming Cellar capture a wide spectrum. 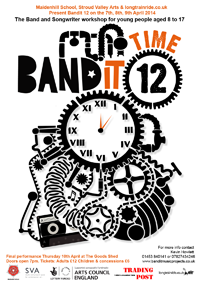 'Long player live recording that nestles nicely on the ears with some neat little numbers you can tap along to...'.